The iPad is going to get a powerful new graphics tool. There are some great graphics apps available for iPad. One which has been largely absent up until now? The proper full version of Adobe Photoshop. Fortunately, that looks like it will change this year as Adobe Systems plans to launch the full version of the iconic photo-editing app for iPad. The move is part of a new strategy designed to boost subscription sales by focusing on mobile apps. According to a new report from Bloomberg, Photoshop for iPad will be shown off later this year at Adobe’s MAX creative conference in October. It will officially go on sale sometime in 2019, although the exact date is still up in the air. Adobe’s chief product officer of Creative Cloud Scott Belsky tells Bloomberg that a new “cross-platform iteration of Photoshop and other applications” are indeed being worked on, but wouldn’t give an exact timeline for it. Adobe switched to its cloud-based subscription model in 2012, causing stock to soar by upwards of 700 percent. In an effort to grow this user base even further, it’s now embracing mobile devices alongside more traditional PCs. At present, the closest thing Adobe offers to Photoshop on iPad is a stripped-down version called Photoshop Mix, available as part of Adobe’s Creative Cloud subscription service. If you’re looking for full Photoshop rivals already on iPad, the best options available right now include the likes of Pixelmator, Affinity and Enlight Photofox. 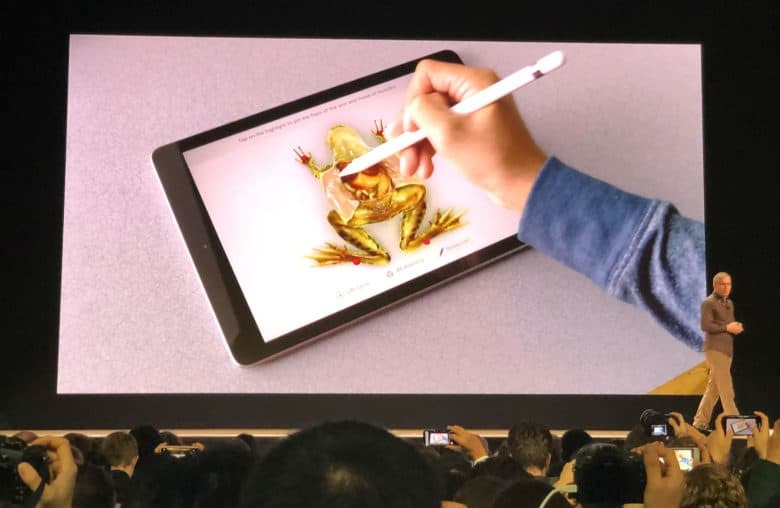 Adobe’s decision to bring the full modern version of Photoshop to iPad would represent a new era in collaboration between Apple and Adobe. The two companies famously fell out over the use (or perhaps non-use) of Flash on iPhones a decade ago.